Thanks to its promotion by figures from Hollywood (Richard Gere) and Silicon Valley (Steve Jobs), Buddhism in the West presents a ‘peaceful’ face. Yet Christians in Buddhist-majority Sri Lanka, as well as other minority religions, see things differently. “To be Sri Lankan is to be Buddhist” is the commonly-held belief by more than 70% of Sri Lanka’s population who follow its philosophy. Race and religion are so intertwined that a 30-year war took place for the majority Buddhist Sinhala race to eventually reiterate their dominance over the minority Hindu Tamils. The belief that, in Sri Lanka, Buddhism is tied to national identity is key to understanding the locals’ fear and opposition to minority religions, especially Christianity (7% of the population), Hinduism (12%) and Islam (9%) says Mahesh De Mel, Missions Director of the National Christian Evangelical Alliance of Sri Lanka (NCEASL): “Now, in Sri Lanka, we are the only nation in Asia – in the world – which is majority Sinhalese. From village level all the way up to central government, “protectiveness for Buddhism is all encompassing,” he says, though he also says new President Mathripala Sirisena, who assumed office in Jan. 2015, is more tolerant of minorities than his predecessor. Small wins for minority groups under the new president have led to Christian and Muslim representatives in government, but the leadership keeps one eye on its electorate: “The government is bound to maintain a healthy relationship with the [Buddhist] majority,” says De Mel. Former President Mahinda Rajapaska is connected with the Buddhist extremist group Bodu Bala Sena, which has been responsible for attacks on Christians, says De Mel. He believes there is local support for extremist attacks on religious minorities, but that it is hidden. “We don’t see many organised extremist groups having much say in public. But, since January 2015, we have seen more than 140 incidents against Christians,” he says. 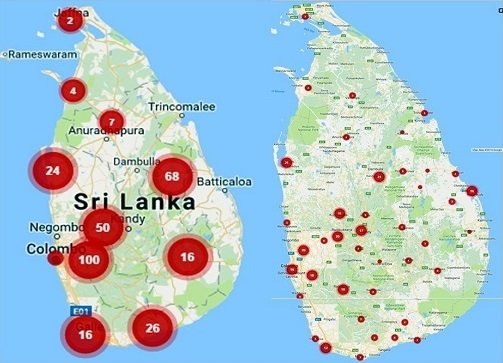 NCEASL has mapped incidents of state-sanctioned church closures, arson, stoning, vandalism, mob attacks and threats across the country between January 2013 and June 2016. Its statistics show a ‘high’ at the beginning of the mapping project, followed by figures remaining steady for the last three years, with no real drop-off of recorded attacks. Church attacks and closures have declined since January 2015 under the new presidency, but reports of intimidation have been climbing since 2013. Physical attacks remain constant at about one per month, NCEASL figures show. What happened at Lalith* and Dinesh’s* churches is typical of the different levels of attack. Lalith’s church in Wattala, western Sri Lanka, was approached by a mob of locals, including Buddhist monks, who threatened to burn down the church – with him, his wife and three children inside. The monks decided they didn’t want his church next to a Buddhist temple, even though it had been there for six years already. They registered a complaint against Lalith, but he was acquitted by a judge who used new legislation on religious freedom to discharge both him and his church. “Extremists want me gone, but the same persecution will wait for me wherever I go because I will preach the same Gospel,” Lalith said. Dinesh has led a church in Kandy district, central Sri Lanka, for 30 years. When he started building an extension to his church in December 2015, he was told by the village committee, police and religious officials to stop, and that he was no longer welcome. The community filed a case against him, and, in court, the judge ruled against him for having an unauthorised place of worship; he was ordered to close down the church. He appealed his case and won, but then local Buddhist villagers singled out business owners at the church and stopped buying their goods and services. De Mel says there is more to anti-Christian feeling among Sri Lankan Buddhists than acts of violence: “I think we have to redefine what we really mean by ‘persecution’. When you are talking about persecution in Sri Lanka, the agenda is not to assault people…it’s a matter of protecting the village from people who bring Christ. Del Mel says when a Sri Lankan wants to share their Christian faith and someone says they can’t, that is when persecution starts. How does this face of Buddhism square itself with Western thinking that it is a peaceful, even passive philosophy? 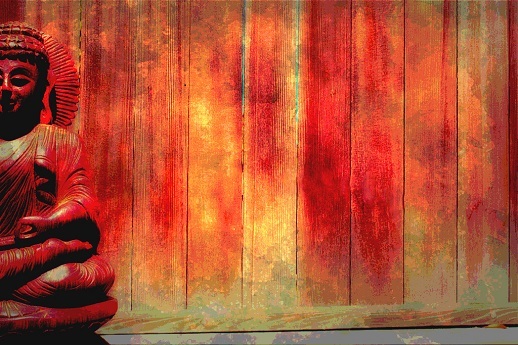 Lama Surya Das, an American-born spokesperson for Buddhism in the West, says Buddhism is actually more ‘dynamic’ than ‘passive’ and that some Buddhist groups are “not just reclusive, meditative, or scholarly, but social activists doing all kinds of good works in the world”. He says that to most Buddhists it would be “unthinkable… to indulge in inter-religious warfare, but this has happened before in the world so it’s very unfortunate that it’s happening now, but maybe it’s also something we need to understand. That where there’s this power, and big institutions mixed with the status quo, then this thing happens. Corruption happens”.